Like many great inventions, messaging wasn’t born out of necessity. 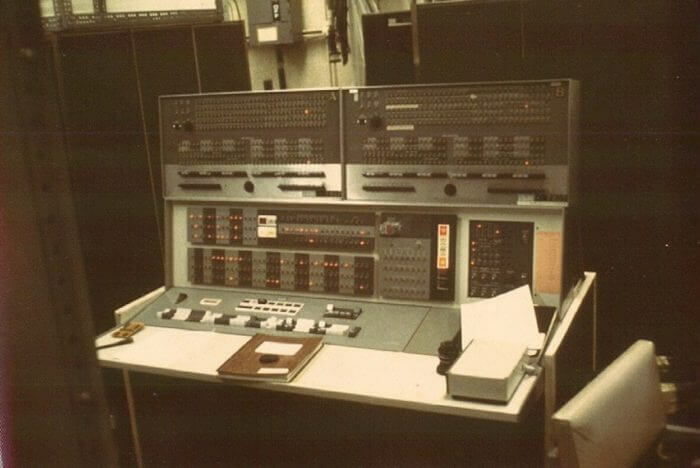 CTSS was a primitive form of email that allowed up to 30 users to send messages asynchronously. In 1963, MIT researchers Tom Van Vleck and Noel Morris wrote a program for it, .SAVED, which created a user interface for people to see these messages on their own screen, and a scheduler that cut down message transmission time. And live chat was born. Chatting was fun and addictive, and .SAVED spurred a thirst for faster, more efficient forms of communication. At that point in time, the only ways you could communicate with a person who wasn’t in the same room was landline or snail mail. But these tools were clumsy, slow, and simply not as fun or expressive as humans want to communicate. And as computing flourished in the latter part of the 20th century, the concept of real-time messaging took hold across industries. It spread in universities, governments and military, financial institutions, and after ICQ launched in 1999 it went mainstream to friends and family. Eventually, businesses began using it to chat with customers and website visitors. When you understand that businesses are always chasing how humans communicate in real life, it shouldn’t surprise anyone that messaging is now the most popular way to talk to anyone online. And just as humans constantly evolve, so is messaging. At Intercom, we think a lot about business messaging, and about what the future looks, sounds and feels like. To create this future state, we had to think deeply about the origins of messaging and all the milestones it took for it to look the way it does today. 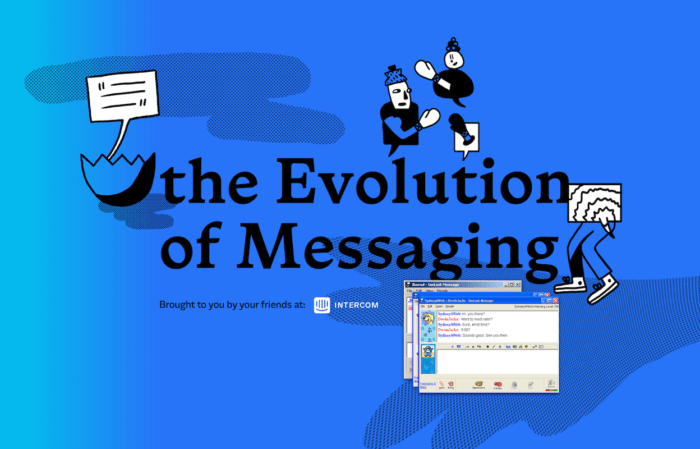 Quick note: the original name of this microsite was “The History of Messaging.” But as we put the timeline together we realized– we’re not studying a timeline of past events, or history, we’re studying a timeline of changes. Of transitions. Of why certain features, like Apple iMessage’s typing indicator, stuck and others, like ICQ’s numerical usernames, have not. That begs the question: where will messaging go next? The more precocious among you might scroll through our microsite with narrowed eyes and pursed lips, wondering, “Hm…I wonder if Intercom is building…” And you might be right! On April 24th, we’re announcing the next wave of business messaging. Look for clues to what that could look like in this microsite. You’ll also have an opportunity to sign up to be one of the first to hear our big announcement.